If you’ve been following our series on the opioid crisis, you already know this is a public health epidemic that is devastating for its thousands of lives lost, and complex for its social, economic and health factors. This “epidemic of epidemics” necessitates a multi-prong response. With oversight from an internal task force, GuideWell is currently engaged in executing an enterprise-wide tactical program to combat the opioid crisis in our home state of Florida. 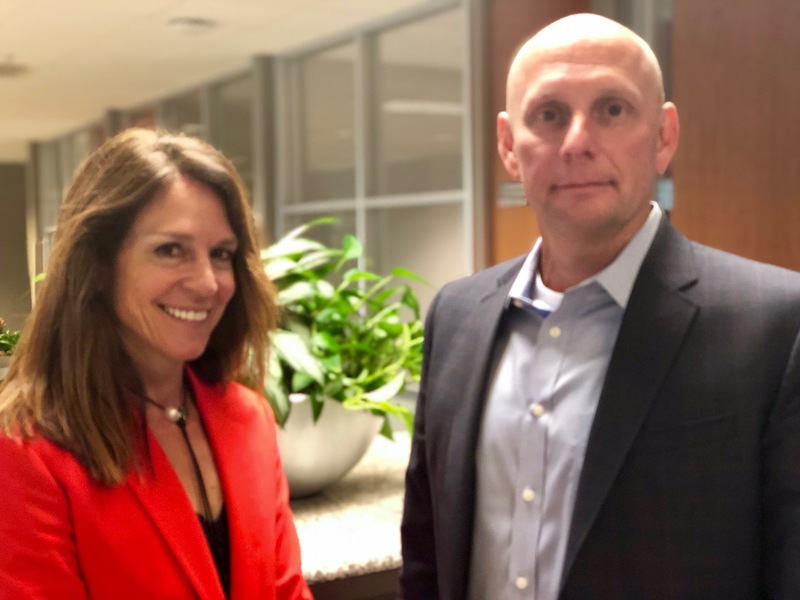 We interviewed our chief medical officer and president of GuideWell Health, Elana Schrader, M.D., along with our vice president of commercial and specialty pharmacy programs, Scott McClelland, PharmD., to learn more about how GuideWell’s health insurance company is working to protect members’ health during the opioid crisis. You can also find our podcast on iTunes. Data analytics: Scott explains that we’ve been scrutinizing prescribing behaviors and opiate dosages since the early 2000s. As we monitored those trends, we intervened over the years with changes to coverage policies, enhanced access to alternative therapies, yet ensure members with chronic or cancer-related pain continue to receive the care they need. Scott also shares that we’re working now on a predictive model that will help our providers know which members might be safer using non-opioid pain therapies –and avoid a potential addiction down the road. Physician engagement: Elana states that physicians want to be educated to provide the most effective, safest care they can deliver to their patients. As a result of policy changes, like removing OxyContin from coverage in 2017, and ongoing dialogue between our payers and physician network, we’ve seen a material decrease in opioid prescribing in Florida since 2016. Peer counseling pilot with Memorial Regional Medical Center (Hollywood, FL): In a collaboration with New Directions Behavioral Health, we launched a program that matches peer counselors with members who are overdose survivors at the Memorial emergency department. The counselors educate members on treatment options, including medication-assisted therapy (aka MAT), and Memorial makes additional outpatient services available. Interventions after overdose and using MAT is proving to be a best practice in treating people with opioid use disorder. Community activation: The Florida Blue Foundation has awarded nearly $3 million to community organizations across Florida that are fighting the opioid crisis at a neighborhood level. Read about one grantee, Gateway Community Services, and watch for stories on more grantees soon. Convening thought leaders: Several states have implemented programs that have mitigated the opioid crisis among their population. In GuideWell’s upcoming event, “Opioids & Florida: The Collaboration Imperative,” our corporate leaders will convene directors of those programs along with local community, business and health leaders to better understand how we can save lives in Florida. 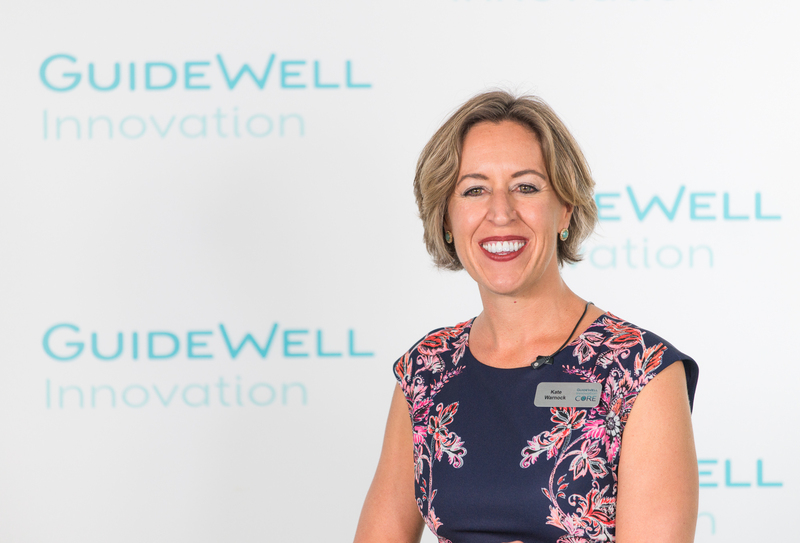 Elana closed with a final message for GuideWell’s 12,500 employees, some of whom might be struggling themselves with addiction or caring for loved ones who are. “What I would want everyone to know is that they are not alone, and we are here for them to support them and to help them bring their best selves to the office every day.” In addition to making services and support available, Elana embraces her role in helping to reduce the stigma that prevents so many from seeking help to begin with. "I can't...underscore enough the importance of being out front and talking about [addiction] and making sure that people know all of our programs are not punitive programs. They are supportive programs. We are trying to help people who have these problems [with addiction] and who have real physical illness related to the issues that we're talking about." In 2017 alone, more people in the United States died from drug overdoses than in the entire Vietnam War. It is estimated that one in five unemployed men is out of work due to drug addiction. And foster care agencies are racing to keep pace with the demand of children needing services as parents succumb to the disease. At GuideWell, we will continue to bring the strength of our enterprise to fight this epidemic, and ensure we do what we can to protect the health not just of our members and employees, but all Floridians.